96% of the 146 students better understood the importance of managing their mental health. 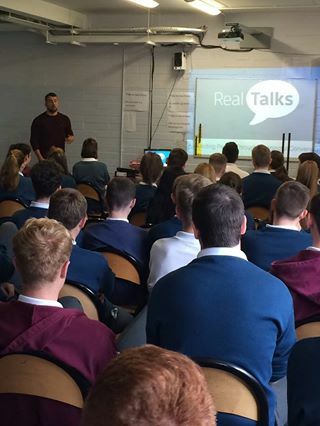 In summary, the reaction of students to the Real Talks session held by Alan O’Mara Coláiste Cois Life, Lucan was extremely positive and the main learning outcomes were achieved. Students better understood how to manage their own mental health, look out for others, and confirmed they would be more willing to have meaningful conversations about wellbeing after hearing from Real Talks. 96% of the 146 students surveyed admitted they better understood the importance of managing their own individual mental health, while 93% felt they were more aware of the little things they could do to build their own resilience. Each student was asked to answer the following statements after the successful completion of the two ‘Real Talks’ session, which lasted 60 minutes each. Every question had five options; Strongly Agree, Agree, Neutral, Disagree, Strongly Disagree. The percentages below are the combined number who selected Strongly Agree or Agree. We would like to take this opportunity to congratulate Coláiste Cois Life on the incredible work they are doing within the school to place student wellbeing as an absolute core value. Keep up the great work all and best wishes for the future.